I'm guessing it's a Hibana Velox. 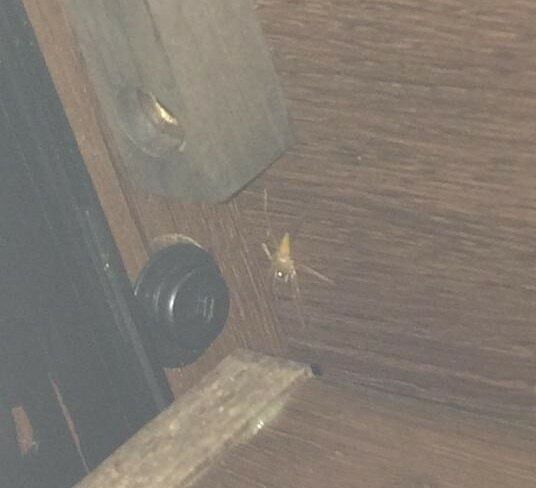 Found under my desk, had to use flash so sorry about the picture not being the best. Caught it & took it outside after I took the picture. I’m not sure from the photo. It’s not your fault, it is difficult to photograph spiders in the dark. Your guess of Hibana velox is quite possible for where you live.